Digital Innovation in Banking: Is it just the beginning? Innovations in technology are transforming the way banking and financial services are offered to customers. Financial institutions have been successful in innovating almost all areas of banking – wholesale and retail banking, payment systems, loan and fund management, mortgages and securities, compliance, risk management etc. 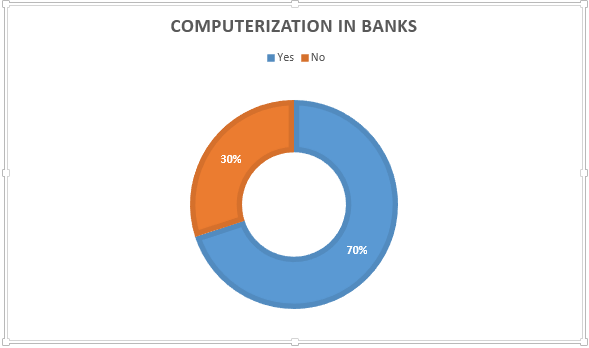 Computerization, which may be considered as a baby step to the banking revolution, has already been made available to 70% of the branches in banks. Central Vigilance Commission (CVC) has been taking measures to increase this percentage to 100% and has shared directives to banks for achieving this target. Banking has been witnessing many digital transformations lately, in view of the shift in consumer demands. New technologies to offer credit and non-credit services to customers are being introduced in order to cope up with the cut-throat competition between public and private sector banks. The modern technology has helped speed up operations and add to the degree of sophistication. In other words, innovation has turned banks into financial supermarkets where all banking features are available at a single place. The digital banking journey so far has been about adding technology-enabled services that provide convenience to customers and gives them a valued banking experience. Some of the most popular examples we encounter everyday are mobile banking apps, digital wallets, debit/credit cards etc. Mobile banking and personal finance management apps are being received by many new consumers as the download rate soars to almost 60% (A.T. Kearney and Efma global retail banking study). Considering the rising stats, USAA (a banking and insurance provider based at USA) launched a feature in their mobile app that acts like a virtual mobile assistant and comprehends voice commands of users to perform actions – similar to Apple’s SIRI. Using this first-ever feature, customers could perform over 200 actions to bank on their smartphones. NOW, that’s true innovation – really! Inventions like artificial intelligence, social investments and advisory through video/chat are still in a nascent stage, however they come with a promise to offer beyond the ‘thinkable’. Banks have already started announcing their association with tech giants to explore the disruptive future in banking. Citigroup has joined hands with IBM’s Watson – a robot that got popularized on a quiz show named Jeopardy and is known to defeat humans in extending advisory to customers. Video advisory has commercialised hugely among the US, Benelux and Nordic audiences. Yet, it is far from benefitting Indian audience and the like. Enhancements to the already existing banking products and services have just begun. The next generation will bring highly complex offerings that are based on insights accumulated from across channels like smartphones, apps, social networks and more. 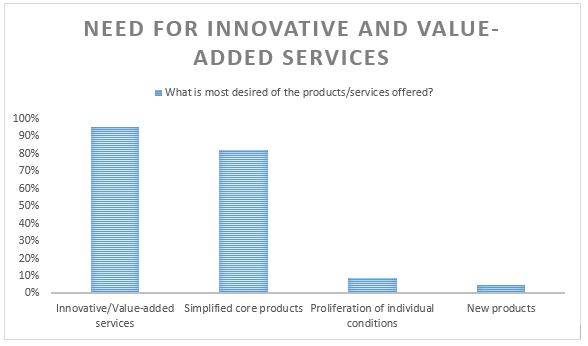 According to a survey by A.T. Kearney and Efma global retail banking study, most of the banks believed they need improvement in their products and services through innovative value-added services. An example of how Sesame serviced Thenhipalam Co-operative Rural Bank Limited after the announcement of demonetization is worth sharing. Sesame built an innovative banking solution called e-village to serve the rural population in Kerela, which was left unbanked after 500 and 1000 rupee denominations were scrapped overnight in late 2016. E-village served as an alternative to debit/credit cards, cash and m-wallets, which could transfer money to individuals/vendors with or without internet and smartphones, directly from the user’s bank accounts. Thenhipalam used this solution by the name of COOpaisa that propagated within no time and was used by a majority of the bank’s customers. The Digital Banking readiness index denotes that India is still working on fundamentals. This means, there’s a BIG world yet to be discovered. So far, the game of innovation in digital banking have been limited to small initiatives – mobile banking, internet banking etc. However, the banking industry will remodel itself within no time and will open larger opportunities to delight the customers. Innovations in omni-channel experience, vertical integration of platforms and processes, big data etc. will revolutionize banking. Of course, the customer expectations and competitive market will remain the driving force to all the developments in the journey of “digital innovation”. Thanks for providing the information. It is very useful information.